The question of whether you should buy enterprise storage or consumer storage boils down to application-specific criteria. We’ll discuss the appropriate scenarios for either and both, and ferret out the differentiators between the two. You might notice the difference between enterprise and consumer drives isn’t clear-cut when reading though the product pages. Different brands have different names for similar features. 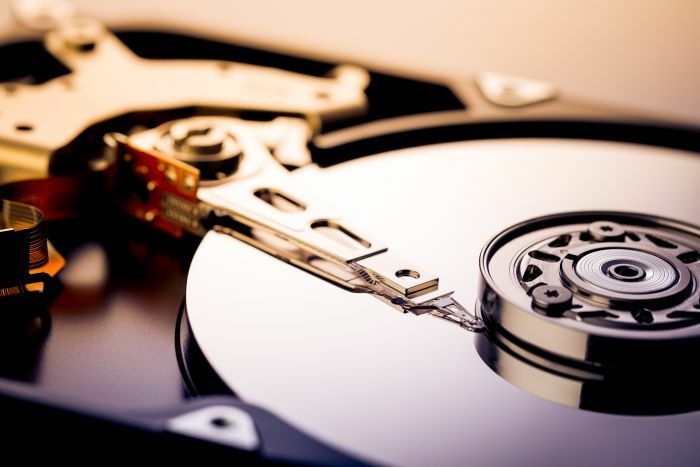 Each hard drive you can buy are designed and manufactured to achieve the appropriate degree of reliability, performance, and endurance specific to ideal use case scenarios. Usually hard drive pricing reflects the level of engineering involved in the design, materials, and assembly. For this reason, it’s important to pair the right type of disk to how you intend to use it. Manufacturers design consumer grade hard drives for use in endpoints. Your basic desktop computer or laptop PC ships with a consumer grade HDD or SSD for storing local files. When a typical home users wants to expand storage, connecting an additional external or internal hard drive does the trick. Performance is important to end users, so consumer grade drives deliver the necessary speeds to handle writes and reads. For this, a 7200 RPM HDD sets the performance standard, or you might opt for solid-state storage for a performance boost. If it’s important for your PC to run quietly, you will find consumer drives specifically designed for low noise levels. In this scenario, you will find that consumer hard drives deliver capacity and performance at the lowest price per gigabyte. Consumer drives are sufficient in every use case specific to client computers. There is no real reason to place an enterprise hard drive in a standard desktop PC. It’s when a computer starts to act as a server is when the extra engineering that manufacturers use to design enterprise hard drives and SSDs comes into play. When you get into hard drives for server computing you need to be conscious of duty cycle ratings. Servers that host applications and databases require a tremendous amount of computing power. Datacenter operators use 10,000 – 15,000 RPM enterprise hard drives to accommodate these types of performance demands. These hum louder than consumer drives, but noise isn’t a factor in data centers. A typical office PC does not require a lot of writing and erasing of data. For this reason, consumer drives typically withstand an annual workload of 25-30 TB which is well within reason for how office workers use computers. This work load pales in comparison with a shared file server used in production working in a 3-2-1 data backup role. In these situations, hard drives are configured in a RAID (redundant array of individual disks) which protects against data loss in the event of drive failure. When a drive fails in a RAID array, the resulting re-sync places a huge workload across the other drives and placing them at a higher risk of failure. That’s why extra features onboard enterprise drives come into play in a RAID configuration. Enterprise drives are “hot swappable,” which means you do not need to power down a server to change out drives. They have error recovery processes that improve reliability as well, and these are designed to work within the context of a RAID array. Generically, these firmware features are called error recover control (ECC). WD calls it time-limited error recovery (WD). For Samsung and Hitachi, it is command completion time limit (CCTL). Perhaps the most tangible and obvious value is the longer warranty period that manufacturers give enterprise disks. You will find many enterprise drives with a five-year warranty whereas consumer hard drives carry a one- or two-year warranty. See product pages for warranty details. Ideal for medium-sized NAS enclosures under 16 bays. Spins at 7200 RPMs for increased performance. Sensors compensate for vibration. RAID-optimized firmware equipped with power management capabilities. Includes 2-year manufacturer rescue data recovery plan. 5-year warranty. Do you have to use branded enterprise hard drives in OEM servers? You will find enterprise hard drives branded by Dell, HPE, and IBM in the enterprise disk storage store. Those companies do not actually make hard drives. There are actually only three hard drive manufacturers worldwide. Companies that sell enterprise server equipment buy drives with firmware specifications set for their server equipment, and sell them on the storage market. It’s a way to simplify bulk purchasing for owners. If you have a PowerEdge server you’d use drives branded by Dell; owners of ProLiant servers would shop for HPE-branded drives; IBM Power System users would buy IBM-branded drives and so forth. You are not limited to using branded drives in OEM servers, but check your warranty information before introducing unbranded drives to your infrastructure. Hardware RAID vs Software RAID: What’s the Difference? Enterprise hard drives and desktop drives look similar in many regards. Consumer drives are built for use in end points, and offer low cost per gigabyte of storage. Server computing has different demands that enterprise storage drives accommodate with extra mechanical functions and firmware upgrades. If you still have questions about whether to use enterprise vs. desktop hard drives, our account executives are able to assist with the best fit for your specific needs.